WHAT IS A SCORE TRAIL RACE? Solo or in a Team. Bring your friends, family for an epic weekend. You choose how hard and far to go! What’s the challenge? We’ll be placing lots of checkpoints around the trails of Cannock Chase. They all have a different value. On the start line you get a map showing their locations. The team that visits the most checkpoints in the time allowed is the winner. Choose to run or mountain bike around your quest for checkpoints. Make it as hard as you want, run hard or stop for refreshments on the way. Get your mates together and give it a go! Fun with friends or solo. Saturday night everyone finishes back at the campsite to relax. Bring everything you need for an epic weekend with friends and family. 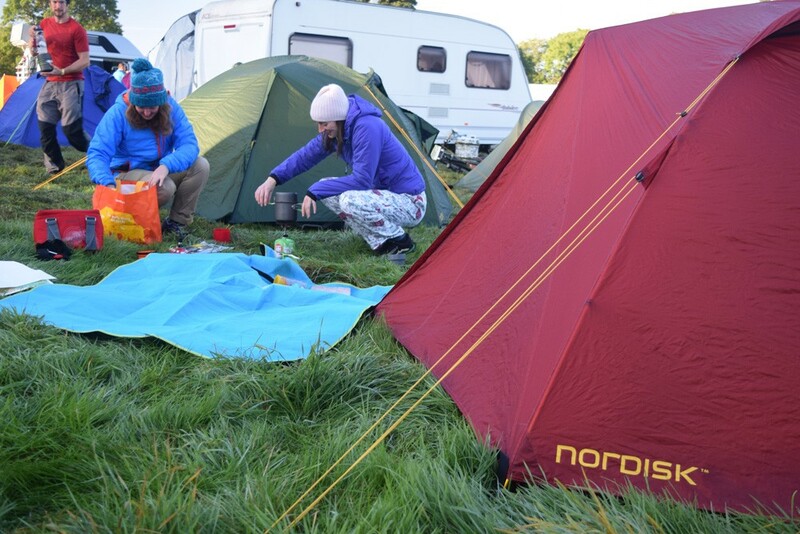 Non-competitors are welcome to camp with you whilst you’re out on the trails. Our massive catering marquee & bar will be open all weekend. In order to conduct the competition on a fair and equal basis for all participants, and ensure safety, it is necessary to apply rules governing a competitor’s conduct, clothing and equipment. These rules, which are set out below will be STRINGENTLY enforced. Anyone found to be in breach of these rules will be automatically disqualified from the current event and potentially banned from future events. 1. THE GOLDEN RULE: Once registered, competitors must report to the event headquarters and download (and on Sunday return their scoring tag) by 17:00 hours whether they have completed the course or not. If this is not done the team is deemed missing and will be searched for! 2. All competitors must be 14 years on the day of the competition and the combined age of the team must be at least 35 years. Any competitor under the age of 16 not competing with their parent/guardian must complete a parental consent form. Younger competitors may be considered on a case by case basis – please email emma@theomm.com. 3. At least one member of the team must be able to read a map using a compass, without the aid of GPS devices. 4. The event is for solos or teams of two or three. Teams must maintain contact (communicate by voice) throughout the competition. Both team members must visit the control sites together carrying all their equipment. ie: if running rucksacks must be in possession of the teams at all times and both team members must dib in the control box. If one member of the team cannot continue the whole team is retired – the map provides an emergency telephone number. In the case of an emergency, teams must exercise their own judgment as to the appropriate action to take, including leaving a partner in a warm safe environment to seek help from others. 5. This is NOT an open access event. All competitors must keep to public or permissive rights of way (as per event map). Out of Bounds areas and compulsory crossing points are also marked on the event map and must be respected. 6. Teams must carry or wear the equipment and clothing on the official kit list. This is the absolute minimum for safety. A signed kit list and declaration form must be handed in at registration. 7. Well behaved dogs are welcome at the event HQ but must be kept on a lead at all times. Dogs are NOT allowed to accompany competitors on the course. 8. Competitors must not seek to obtain unfair advantage by searching for courses or inspecting the competition area before the event. Note: Access permission to the competition area is restricted to the weekend of the event only. 9. We encourage you to carry a fully charged mobile phone for use in an emergency, but they must not be used for navigation. You may also wear or carry a GPS device (i.e. watch) to track your run/ride (for your use after the event) but again they must not be used for navigation. Anyone found using their mobile phone or other electronic device for navigation purposes will be disqualified from the event. We rely on the integrity of our competitors to follow this rule. (unless we remove all electronic devices from every competitor there is no other way for us to enforce this). 10. Competitors who, in the opinion of the organisers, act in such a way to bring the event into disrepute or unnecessarily endanger other competitors or race officials will be disqualified and may be banned. 11. Competitors must permit the examination of their equipment by race officials at all times. 12. On completion of the course all competitors must still be in possession of sufficient rations for an emergency. 13. No open fires or charcoal BBQs permitted at the Event HQ/camping field. 14. Sport Ident timing cards are issued to each team at registration (attached to the wrist). Competitors will be charged the cost of replacement (currently £35) for any loss or damage to these. 15. OMM Bike only – e-bikes are welcome but the organisers must be informed you will be riding one (e-bike competitors will be non competitive. 14. OMM Ltd reserve the right to use any digital media captured at the event for promotional/marketing purposes. 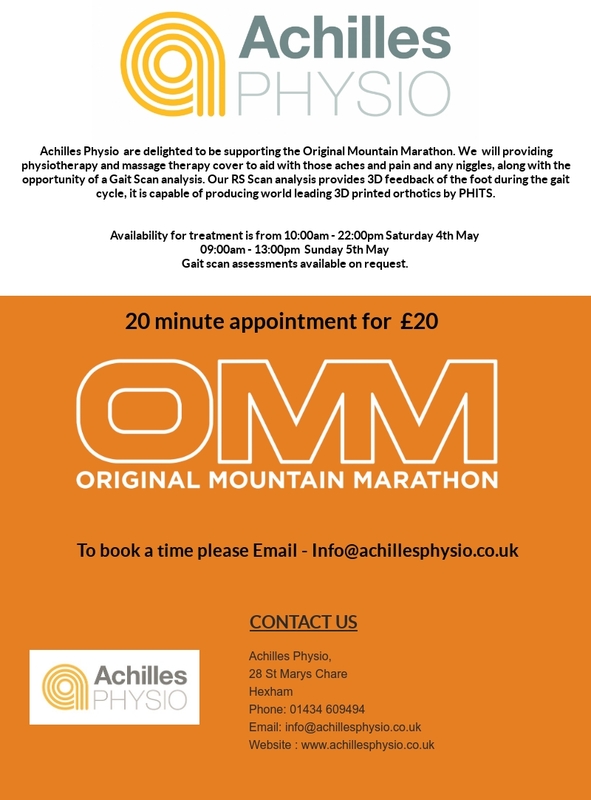 We’re delighted to be having this year’s OMM Lite and Bike in the rolling hills of Cannock Chase. For riders we hope to have spares available on site but a full spares and repairs service is available at Cannock Chase Cycle Centre very close by. They also have a bike wash down point (we are unable to have one onsite due to issues with waste water drainage). Registration will be open from 15:00 hours to 23:00 hours on Friday and from 07:00 hours on Saturday 26th October. If registering on Saturday morning please leave plenty of time. Competitors are advised to register early to prevent last minute queues. Please bring your teams completed and signed OMM Kit Check and Declaration. Please ensure that the car registration number of THE CAR THAT YOU TRAVELLED IN is included on your declaration form. At registration each competitor will be issued with a Sport Ident Timing card/dibber (attached to the wrist), competitors are not able to use their own dibbers as this is used as one of our vital security checks at the end of the event. The cost of timing cards is including in your entry fee BUT if you lose or damage the dibber you will be charged the cost of replacement (currently £30.00). Car keys can be deposited at registration. The organisers shall not be responsible for any keys left in their possession and accept no liability for their safekeeping howsoever arising. We’re pleased to say that Matt, Fi and the team from Barrett Kitchen and Bar will be returning to this years OMM Festival. All competitors have a hot meal and drink included in their entry fee which will be served at the Event HQ at the end of the race on Sunday. Vegetarian, vegan and gluten free options are available and should be requested on your entry form. Food and a bar serving a selection of drinks will also be available all weekend – here’s the amazing menu! We try hard to encouraging recycling and sustainability and to encourage this a deposit of £1.50 for a reusable pint pot is now required when purchasing drinks from the bar. Camping is in the forest next to the Event HQ and you can park next to your tent. We provide toilets and drinking water (no showers). No fires or BBQ’s (other than gas) please. You can also bring your campervan or caravan, we will try to get you on hardstanding but just be aware that you may be on grass and no electric hook ups. OMM Lite competitors will be given a map at the start line (a new one on each day), on it are all the checkpoint locations available for that day and how many points they are worth. The team or individual that collects the most points in the time allowed wins. One benefit of the score course is that you don’t have to stay out for the whole time allowance and can finish when you choose. The Short Score – fixed period competition with time limits of 5 hours on the first day followed by 4 hours on the second where teams accrue as many points as possible. Checkpoints are assigned points values based on their location and teams are free to choose their route to gain the highest score possible. Points are deducted for being outside your allocated time limit at a rate of 2 points per minute or part thereof. This course is as challenging as you choose to make it and is perfect for first time competitors or those wishing to take a more relaxed approach to the competition. You will still need to be able to read a map. The Long Score – fixed period competition with a time limit of 7 hours on the first day and 5 hours on the second day where teams accrue as many points as possible. Checkpoints are assigned points values based on location with competitors free to choose permitted routes for the highest score. This course tests navigation ability and is as physically as challenging as you choose to make it. Points are deducted for being outside your allocated time limit at a rate of 2 points per minute or part thereof. Experience and fitness is required. Teams with members under the age of 18 should have competed on the Short Score or similar courses in the past. The OMM Bike is a points based competition otherwise known as a Score course. Competitors will be given a map at the start line (a new one on each day), on it are all the checkpoint locations available for that day and how many points they are individually worth. For this years event we will be using the Small Area Format (SAF), this means we can use a smaller map which makes handling the map much easier. How SAF works – Controls on the map will be colour coded either red or blue. You choose which colour controls you want to collect first e.g. red and can change to the other colour e.g. blue at any point BUT once you have switched you cannot go back to any remaining controls in the first colour. If you accidentally punch the wrong colour it will not count, but don’t worry you won’t be disqualified! For example you could plan a route to collect as many red controls as you can in one ‘loop’ before doing a further ‘loop’ collecting blue control (you are not allowed to then go back to red). But remember this needs to be done in the time allowed! This list should be seen as a minimum requirement only. Check the weather forecast, your previous experience and use sound judgement for the kit you should be wearing and carrying. The organisers reserve the right to disqualify any competitors who, in their opinion, do not have the necessary kit to survive in an emergency situation. Any decisions to reduce the amount of kit you need to carry (e.g. in exceptionally warm weather) will be posted at Registration and on the information board on Saturday morning. You do not need to bring all your kit to registration for checking, however random kit checks may be carried out at any point during the event. At your allotted start time head to the start line with all your equipment. You will be given any final information and your map (a new one on each day), on which are all the checkpoint locations available for that day and how many points they are worth. You will then dib your timing tag in the START box and your time will begin – please move away from the start line to do any planning of your route. The team that collects the most points in the time allowed wins. One benefit of the score course is that you don’t have to stay out for the whole time allowance and can finish when you choose. Each checkpoint will have the standard orienteering orange and white sign with control station attached to it. Each competitor will be issued with an SI-tag. SI-tags are small plastic pegs which have an electronic chip in one end. Your SI-tag should be dibbed into the hole at each control station in order for competitors to register that they have visited the control; it gives an audible bleep and a visual flash to confirm that the dibbing has been successful. 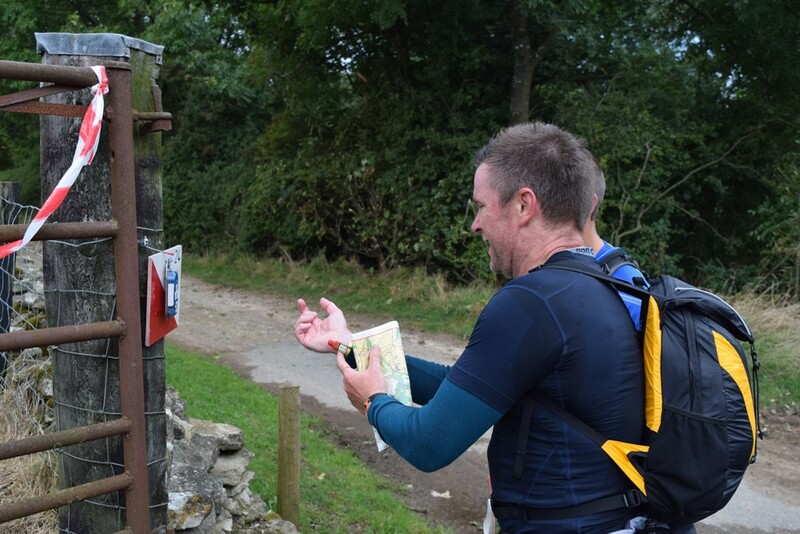 In the unlikely event that the control station doesn’t register, please record your visit on your map by writing the 3 letters shown on the control box into the space provided and report the fact to the marshals and after you pass through the finish. After finishing on day 1 you will be directed to the download station where you will dib your tag and be given a print out showing the controls visited with points and split times. Please move away from the area THEN check your printout. If anything is wrong or you need to report having to punch manually, proceed to the enquiry point. Make sure to keep your tag on overnight to use on the second day. At the end of day 2 you will follow the same procedure and your SI-tag will be removed. The SI tag will be attached loosely to your wrist at registration using a tamper proof wrist strap. This must remain attached all weekend and be cut off you either when you finish or if you retire but only at the Event centre. You will be at risk of disqualification if you remove the tag from your wrist. You will quickly get used to carrying the tag on your wrist. Wrists do swell during exercise and providing it has been attached loosely; you will hardly notice that you are wearing it overnight. If you lose, break or take a tag home with you the charge will be £35.00 the use of your own SI-tag is not allowed. The tag has your team number printed on it and is the only way we can tell who is still out on the course. All tags MUST be returned to the event centre by 17:00 on the Sunday before you leave the competition area: Missing tag = Missing team = Search party. The finish point will be shown on competitor’s maps. Pairs must finish together. Failure to finish as a team will lead to disqualification. After you have finished, please go immediately to download where you will be given your score printout, then make your way to the food area, show your printout and enjoy some well deserved hot food and drink! The OMM Bike event is included in the BMBO national league – make sure you give your BMBO number on your entry form for your result to count towards this! After 19 April 19. Changes to any of your entry details and to the course you have entered can be made at registration. For any cancellations received up to 3 March 19, a refund (minus 10% admin fee) is made. After this date we cannot offer a refund as we have already paid for your attendance. The event is run on a not for profit basis and one of the ways of keeping the costs as low as possible is to agree numbers as far in advance of the event as possible, hence why it becomes more expensive to enter as we get closer to the event. For these reasons we are also unable to defer entries to future events.